Beastie Boy MCA, aka Adam Yauch, wants everyone to know that he is on the mend and thanked his fans and fellow rock stars for all the support. The Beasties had to drop out of playing the All Points West festival, but Jay-Z gamely stepped up. Yauch thanked Jay-Z and Coldplay for their tribute/covers of "No Sleep Til Brooklyn," and "Fight for Your Right to Party," respectively, and acknowledged the "get well MCA" armband worn by Karen O of the Yeah, Yeah, Yeahs and the shout-out from occasional collaborator Q-Tip. 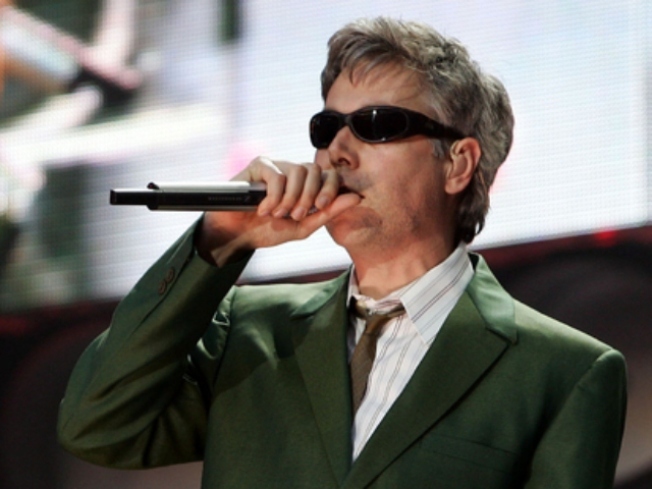 Word of the Yauch's illness first broke via a video he and bandmate Adam Horowitz posted on the band's website. "I just need to take a little time to get this in check, and then we'll release the record and play some shows," said Yauch in the video. "It's a pain in the neck (sorry had to say it) because I was really looking forward to playing these shows, but the doctors have made it clear that this is not the kind of thing that can be put aside to deal with later." Doctors found a cancerous lymph node three weeks ago in Yauch's left parotid (salivary) gland in his neck. Fortunately, they caught it early and since the tumor hasn't metastasized, it's considered highly treatable. The 44-year-old performer, who says he started noticing a lump in his throat a few months ago, said he is just as bummed about the canceled tour dates as his fans. The Beastie Boys have canceled all upcoming concert appearances and pushed back the release of its forthcoming album "Hot Sauce Committee Part I."